Most any model of Raspberry Pi computer (Model A, B, A+, B+, Pi 2 or Zero). 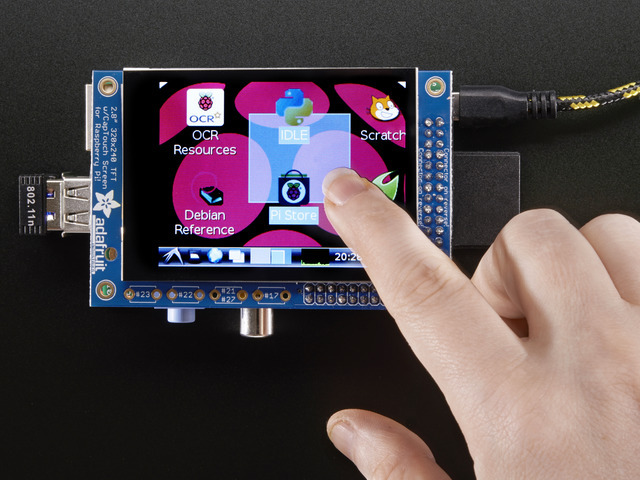 A 320x240 pixel PiTFT display (2.8" resistive, 2.8" capacitive, 2.2" HAT). For gaming we won’t be using the touchscreen features, but still need to distinguish among the various models. The 3.5" PiTFT (480x320) is NOT recommended for this project — more pixels means slower refresh. A 4GB or larger microSD card (or a full-size SD card for “classic” Model A or B). An HDMI monitor and USB keyboard are used temporarily during installation and setup. Emulators require game ROM files. These are not included. Native, non-emulated ports of Doom, Duke Nukem 3D, Quake and Quake 3 are available (explained on next page) that don’t require additional ROM files. Download and setup RetroPie using the temporary HDMI monitor. 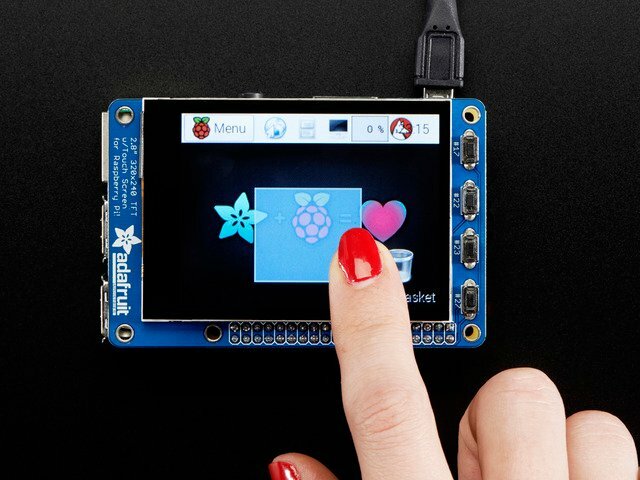 Download and setup additional Adafruit software “on top of” RetroPie. Configuration to redirect game output to the PiTFT screen; HDMI screen is then no longer needed. Though we focus on RetroPie, some of these steps should be applicable to other software. This is not a guide for first-timers. 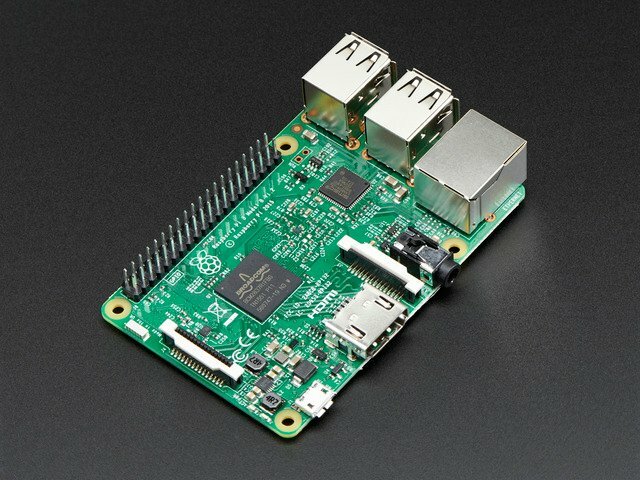 Some prior familiarity with Raspberry Pi (SD card prep, network configuration, etc.) is assumed. If you’d like to try this, we suggest using a separate SD card…don’t upset your working Cupcade installation. Set your original card aside for safekeeping! This guide is still experimental. If it all works out well, we’d like to make this our “official” method for gaming with the PiTFT, but not yet…it might not work for everyone, configuration may be troublesome, or the performance might not feel as snappy on some systems. Any MAME ROMs you’re currently using with Cupcade or PiGRRL might not work with RetroPie — they’re based on different versions of MAME, and the ROM file format they used changed along the way. You may need to convert or acquire new ones. Let’s begin our adventure on the Retropie downloads page. 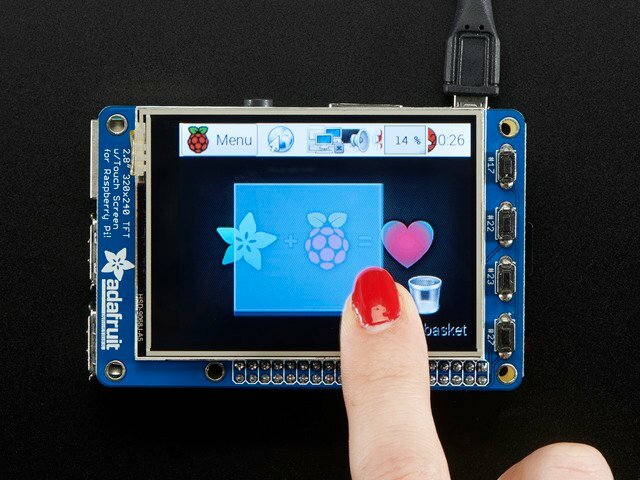 Fetch the version appropriate to your Raspberry Pi board type — there are separate SD card images optimized for the Raspberry Pi “1” (Models A, B, A+, B+ and Zero), and another for the Raspberry Pi 2 or 3. If you’ve used RetroPie in the past, check if a newer release is available…it’s updated frequently! This guide requires version 3.6 or newer. While that downloads, you can get started with formatting a 4GB or larger microSD card (or full-size SD if using a “classic” Model A or B). After downloading and uncompressing the RetroPie image, you can write it to the SD card as you would any other operating system. It’s explained in this guide. Use the latest RetroPie image (3.6 or newer) optimized for your board type (Raspberry Pi 1 or 2/3). 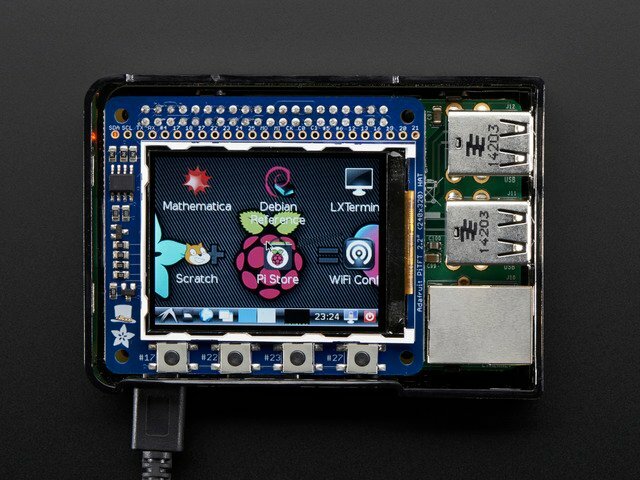 Insert the SD card in the Raspberry Pi. Plug in an HDMI monitor, USB keyboard, then connect power. On first boot, you should see some Linux console messages scroll by, followed by a RetroPie splash screen. It will report that it’s resizing the SD card partition, then performs a reboot cycle. The second time around, you’ll get the RetroPie splash screen, followed by the EmulationStation splash screen, and then it will prompt you to configure an input device. SPI: enable and load kernel module by default. Audio: force 3.5mm headphone jack (since HDMI will be disconnected later). If you are using an older version of RetroPie, select the “Expand Filesystem” option. Recent releases do this automatically on first boot. Change User Password (since everyone knows the default). Under Internationalization Options, select Change Locale, Change Timezone and Change Keyboard Layout to your liking. If keys aren't producing the expected characters, this is why. Under Advanced Options, change Hostname if desired (default is “retropie”) and enable SSH (for remote administration). Overclock. We can enable this later, but there are some important details that need explaining with the PiTFT first! Start out at the default speed. Memory Split. In the past when using the PiTFT you'd want this as small as possible (16 MB). But now that we're actively using the GPU, we want some GPU memory, so don't touch this! When you’re done, tab to “finish” and reboot when prompted. After rebooting, the system will once again ask you to configure an input device. Let’s set it up for keyboard input for now (we can change this later). Hold down any key on the keyboard for a few seconds until it starts asking for keys to assign to certain controls. Remember — once configured, EmulationStation is navigated using these keys only. So, for example, the Return key won’t necessarily select an item, even though the same key may have the expected effect within some emulators. You can set set up a more extensive combination of inputs for different emulators later…no need to get serious with the gameplay yet, just confirm that things launch as expected. Most emulators will exit and return to the EmulationStation menu with the Escape key. Later, you can reconfigure it for a gamepad…you’ll need to access the EmulationStation settings menu with a keyboard still attached. Press the key you’d configured as “Start,” then select “Configure Input,” then proceed through each control as you did before with the keyboard, but using the gamepad now. The control settings you select here don’t always carry through to some emulators. Others may have their own settings that overlap the keys you’ve chosen, causing mayhem. See the “Configuring Individual Emulators” section for tips on finding each emulator’s individual config file, so you can fine-tune these aspects. If you don’t plan to use networking, skip ahead to the next section below: Install ROMs. You’ll need to use a USB flash drive and move files manually from the command-line. Loading ROM files is most easily done on a wired Ethernet network. Recent RetroPie releases already have file sharing enabled; the system should appear on your network as “retropie.local” (unless you gave the system a different hostname during the initial setup). If you plan to use wireless networking…the RetroPie menu includes an option for configuring WiFi, but I couldn’t get this to connect. If you have trouble with it, press F4 to exit EmulationStation for a command-line prompt and set up WiFi the old-fashioned way, by editing /etc/wpa_supplicant/wpa_supplicant.conf. 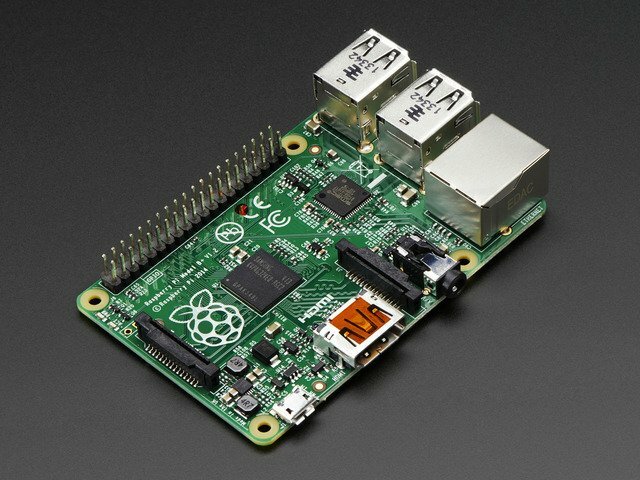 Here’s a guide for basic network setup on Pi. Once networking is all set up (it may require another reboot), you should be able to access the RetroPie system remotely…as a network share for transferring files, and (if you enabled SSH in raspi-config) for remote login to finish certain command-line tasks later. You can always exit EmulationStation with the F4 key for a command line prompt, but remote login has the benefit that you can copy-and-paste some of the commands we’ll be using. Networking must be configured and operable before proceeding. Emulators require ROM files. If you don’t want to do this step, that’s okay…a few self-contained games can be installed in the “Ports” section of EmulationStation, such as Doom and Quake (explained in next section below). With networking enabled, it’s possible to copy the ROM files across the network — the retropie system should be visible as an SMB or AFP share. Alternately, you can fill a USB stick with ROM files, mount this on the Raspberry Pi and move them to the appropriate locations. ROM files are installed in specific subdirectories of /home/pi/RetroPie/roms — one for each different emulator package. For example, NES roms go in the “nes” directory. Some systems are supported by multiple emulators (for example, there are different MAME implementations, each with its own directory). Each emulator has its own quirks — some may render or perform better than others, or some might not work with certain ROMs. Hunting down these quirks and determining your preference for one emulator over another is a process you’ll have to work through yourself…there are just too many emulators and far too many ROMs for us to know them all. There are entire sites and forums devoted to the various emulators, and you may need to Google around and do your own research on the best selections for different games. The RetroPie web site and EmulationStation web site are great places to start to start, with forums, FAQs and wikis. From the RetroPie menu, select “RetroPie Setup.” This runs a text-based menu from which options can be selected (use the arrows and enter key here rather than the “A” button). Select “Manage packages,” then “Manage optional packages.” You’ll be greeted with a list of additional emulators and native (non-emulated) Raspberry Pi ports of some games. Use the “Install from binary” option to install these. An emulated system won’t show up in the EmulationStation menu until corresponding ROMs are installed…but it only scans for ROMs at startup. It’s easiest just to reboot…or you can exit to the command line (F4) and type “emulationstation” to restart the menu. If you haven’t already configured the keyboard or a gamepad for input, do that now. Hold down a key or button and proceed through each button when prompted. Do not continue until you’re able to successfully launch one or more games, displayed on the HDMI monitor. Half the fun of these PiTFT displays is making tiny portable projects. Having a giant USB keyboard attached runs counter to that. One more piece of software called retrogame lets you connect buttons directly to the Raspberry Pi’s GPIO header and simulates key presses. We use this in a lot of our gaming projects! Keep in mind you’ll want to steer clear of the GPIO pins used by the PiTFT display — they’re indicated in that guide. The native resolution of the PiTFT screen works quite well for retro gaming — quite a few 1980s CRT-based arcade and home systems worked at or around this same resolution. 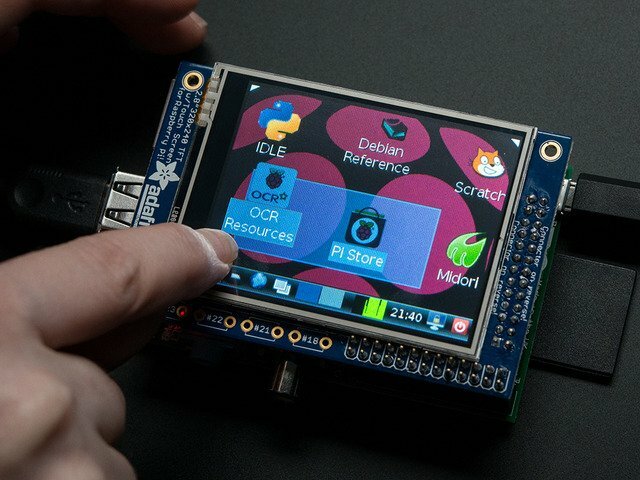 For certain projects though…emulating later systems, home computers with higher-resolution displays, or if you just want to run GUI-type X11 Linux applications on the PiTFT…there just aren’t enough pixels. Application windows and other elements may extend off the right or bottom edges of the screen. The fbcp program (installed by our script on the PiTFT Setup page) has the ability to scale higher-resolution graphics down to the PiTFT’s limited size, with image interpolation so elements like text (unless extremely small) are often still quite legible at the reduced size. fbcp does all this automatically, we just need to change the HDMI output resolution, and on next boot we have a larger graphical canvas (the actual PiTFT resolution itself does not change). Save changes to the file, then exit and reboot. When the system comes up, you’ll see everything is smaller, but antialiased and still generally legible. You can use even higher resolution settings if needed (up to the Pi’s full HD resolution), but this 2X scale is optimal. The bilinear image interpolation algorithm may start to drop details if the HDMI resolution is more than 2X the PiTFT resolution. An exact 2X scale also maintains the same 4:3 aspect ratio as the PiTFT (3:2 for 3.5"), so the image isn’t “squashed” horizontally. This page documents the most common pitfalls encountered when making retro gaming projects, offering some solutions and where to turn for further help. There are some things we can fix and some we can’t…we’re not involved in RetroPie’s development, for example…but we’ll try to point you in the right direction. Most of the following troubleshooting steps will require a USB keyboard attached. Some require a network connection. retrogame is our software that converts GPIO button actions into keyboard events. These are the problems we’re best equipped to fix. Confirm button/joystick wires go to the correct pins and to ground. A multimeter with a continuity beep function is helpful for testing. The retrogame configuration file (/boot/retrogame.cfg) uses Broadcom pin numbers…these are not sequential along the GPIO header pins. This site has a nice reference chart (use the “BCM” numbers). Earlier versions of retrogame didn’t use a configuration file…you had to edit and compile the source code. That’s just horrible. If you’re running an early version like that, this would be a good time to upgrade. See the Installing Retrogame page. Some of my buttons/controls aren’t working! The key codes generated by retrogame might not be assigned to EmulationStation’s keyboard inputs; one or the other will need to be changed. Either edit /boot/retrogame.cfg, or, from the EmulationStation main screen, press Start to access the main menu, then select “Configure Input” and proceed through each of the controls. NONE of my buttons/controls are working! Confirm that retrogame is actually running…either exit to the command line (F4) or log in using ssh, then use “ps -ef | grep retrogame” to check. If you used our installer script or one of our ready-made SD card images, it should be started automatically on boot (added to /etc/rc.local). Confirm that the file “/etc/udev/rules.d/10-retrogame.rules” exists. Our installer script creates this file, but if you installed retrogame manually or from source, it may have been overlooked. My controls only work if there’s also a USB keyboard plugged in! Retrogame doesn’t work with my optical buttons! Unfortunately, yes. retrogame only works with “passive” switches between a GPIO pin and ground (logic low=pressed). It won’t work with switches that have the opposite logic level (high=pressed). I ran Adafruit’s retrogame installer script and rebooted, and now the keyboard and network are unresponsive! This can happen if you’re running an early Raspberry Pi (Model A or B) with the 26-pin GPIO header and select the “Six buttons + joystick” option in the retrogame installer. That particular configuration is set up for our Arcade Pack and newer (40 pin) Raspberry Pi boards. Some of the pin numbers referenced don’t exist on the older 26-pin header and lead to trouble. If this happens to you, not to worry. Power off the Pi and insert the SD card in a reader on a PC or Mac. Look for a file called retrogame.cfg…edit this file and change the pin numbers to match your specific controller wiring. My controls work in the EmulationStation UI, but not in one or more specific emulators! You can rummage around in /opt/retropie/configs and look for a configuration file specific to the problem emulator, then edit its keyboard layout to match your controls. The format of this file, if one even exists, is likely specific to that one emulator, so you’ll need to do some research (Google search, etc. ), it’s not something we can help out with. You can try hunting for an alternate emulator based on libretro, if there’s one available (see “Installing RetroPie Packages” below). The ROM files I have worked in a different emulator before, but aren’t working in RetroPie! This can happen if the ROM file format changes between versions of an emulator, or if two emulators for the same system use different formats. Do some research (Google search, etc.) to see if this is the case. It’s possible there may be utilities to convert among different ROM formats. Try installing an alternate emulator, if there’s one available (see “Installing RetroPie Packages” below). A few emulators may require a “BIOS file” in order to function, but it’s not included with the software for legal reasons. This is something you’ll have to research and track down. To add support for a system not present in RetroPie by default, or to add an alternate emulator program for an existing system, select “RetroPie Setup” from the RetroPie menu. This brings up a text-menu-based interface and will require a USB keyboard to navigate. Select “Manage packages” and then one of the core, main, optional or experimental selections…you’ll probably want to navigate through each of them to see what’s available, keeping in mind that each successive category might be a little rougher around the edges. Your best bet are packages whose names begin with “lr-”. This means they’re built using libretro and the control inputs should already work with what you have! Other packages may require their own manual controller setup, which can be a real nuisance. When asked, select “Install from binary.” The source option takes much longer and won’t provide any benefit for the average user…only attempt that if you know you need absolutely bleeding-edge code. It’s totally valid to install multiple emulator packages that handle the same type of system. Each might have different performance or compatibility benefits, so it’s worth testing your options. See “Accessing Alternate Emulators” below. The first option in this configuration menu lets you select a different emulator package for a given system type…or even on an individual ROM-by-ROM basis, if different games benefit from different emulation software. Test it out with. If you don’t like the results, next time you launch that game you can access the configuration menu again and restore the original selection. This guide was first published on Mar 12, 2015. It was last updated on Mar 12, 2015.